Based in Blackburn, Happy Days Removals supplies removal services to clients throughout Lancashire. Formed in 2007 the company has 14 years experience in the removal sector. We are a removal company based in Darwen, Lancashire. We serve all areas throughout the North West, including Blackburn, Preston and Bolton. We only use full time experienced staff, as we are a family run business. The price we will quote is the price the customer will pay - guaranteed. 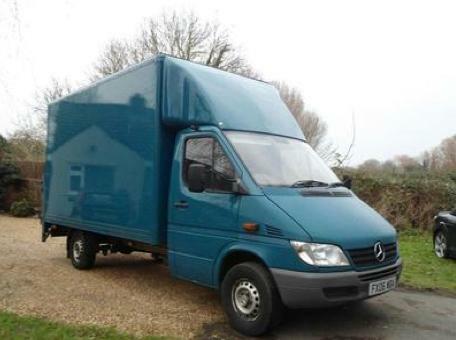 Helping clients to move house whenever they need to, the company provides customers with a professional removal service. With experience and fully qualified staff, the service is intended to meet all your removal needs. Specialist lifting equipment for upright pianos. We conduct removals in all areas of Lancashire, distance no problem! Free estimates available, fill in online form on our website, or phone for a free, no-obligation quote. We can offer an hourly charge, or a fixed-price removal, dependent on your circumstances.